Cities are clearly cool places to live. With so much to offer, American cities are growing rapidly. All but one of America’s 20 largest cities grew last year. Denver, my anointed home base, is America's fastest growing city, picking up over 6,000 people a month. Lucky me? The cost of living is increasing much faster in America's largest cities than the income of its residents. Rather than the recommended 30% of income going to housing, residents in larger cities are more likely seeing 50% of their income allocated to rents, mortgages and associated costs. My rent in downtown Denver has almost doubled since 2009. All kinds of taxes and fees are way up. Cities have pretty ingenious, annoying ways to generate income, most of which involved higher taxes and vigilent meter maids. Already I have a number of friends who live in San Diego, Denver and Washington D.C who don’t feel they can retire in those cities. Now in their fifties, their incomes have peaked (or even declined) but the cost of living has continued to increase dramatically. After building lives in these cities, they are left wondering if they will be able to remain in them, with their friends. One of the most exciting aspects of city living is the stimulation of meeting a wide range of people who have different life experiences, ideas and backgrounds. You can always experience something new in a big city, which is a comfort even when you’re not seeking it out. You know there's always a new band, a new restaurant, a museum exhibit or a concert to go to. I'm loathe to give that up. The alternative, the prospect of living in a small town with few surprises drove me to consider Mexico part-time instead. Living in another country offers something new every day too. Living in a cheaper country like Mexico part-time may even save you enough money to subsidize the costs of staying in your more expensive city the rest of the year. What I save by living in Mexico part-time (and well) enables me to afford Denver when I’m there. When you live in another country, just like being in a big city, you can go out find things you’ve never seen, heard or tasted before any time you desire. Living in Mexico continues to satisfy that craving for the unexpected. Even the most peaceful night in Mexico often attracts a dose of the unfamiliar (like fireworks on a Monday night or free concerts for no apparent reason). Almost every day offers at least one surprise or learning opportunity. The feeling is mutual. I doubt that any new acquaintance in the States would appreciate my red-neck stories about growing up Altus, Oklahoma. Or at least they wouldn't appreciate my stories the way Mexicans do. For those that don't enjoy small towns, Mexico offers an paradoxical combination of less stress and more adventure, adventure that you don’t need to leave behind just because you want to retire. Related: This blog by a real estate company echos my sentiments about why you want Mexican neighbors. Next up: Horrifying medical scam you should know about if visiting any resort Mexican city. Most recent: Mexico's beautiful cathedrals and what you are seeing when you look at one. 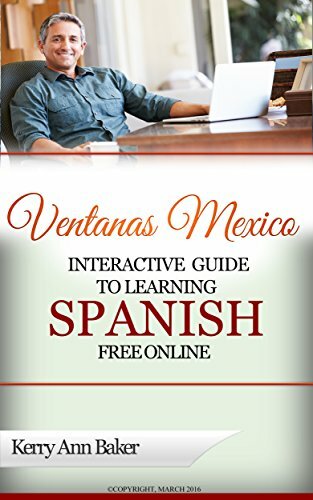 Kerry Baker is the author of the Interactive Guide to Learning Spanish Free Online, a curation of the best free tools on the web, their links and lesson plans that will make every study session an unique experience. Use the guide with your laptop or e-reader to study from anywhere. Learning a second language has been proven to be one of the best things you can do for your brain. 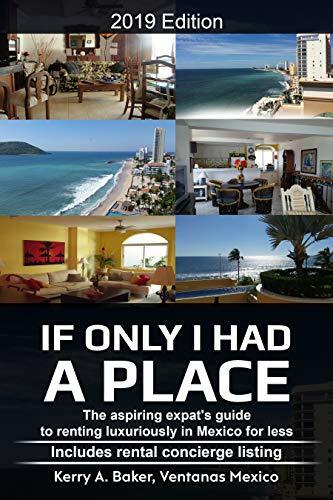 Recently released, "If I Only Had a Place" on renting well in Mexico, written specifically for the aspiring expat. Includes a listing of local rental concierges who can look at your prospective place before you sign the dotted line. What Are You Looking at When You Look at a Mexican Cathedral?